The Orbit pendant lamp is an ultra modern light fixture designed by Patrick Townsend. Patrick Townsend's Orbit light was named one of the top five lighting designs of the year by Elle Decoration. 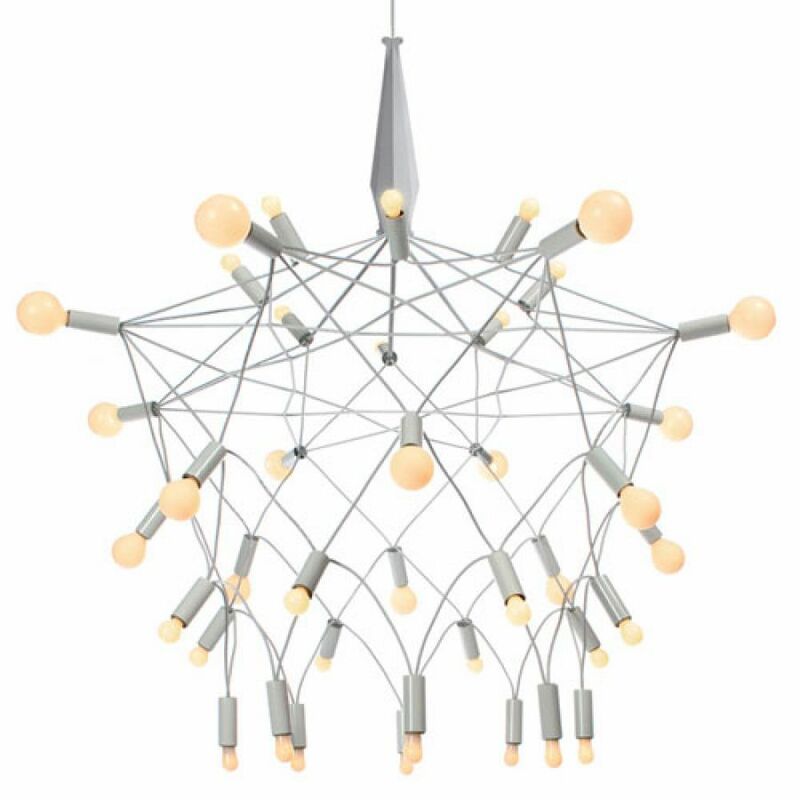 The well-designed Orbit Chandelier was the result of "pulling apart and exploding the original String Light to create a delicately woven pattern of energy. The Orbit light chandelier is handmade with 40 various sized light bulbs. 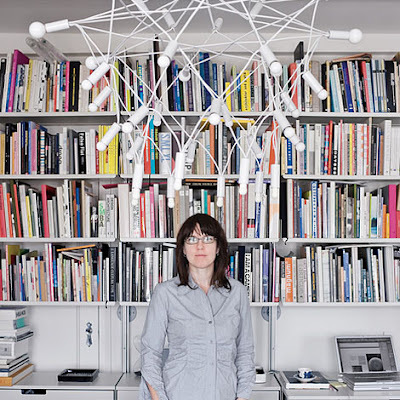 The Orbit Chandelier pictured by Dwell in a Brooklyn Apartment. The magnificent Orbit utilizes a tension/compression design based on the same principle as a suspension bridge. 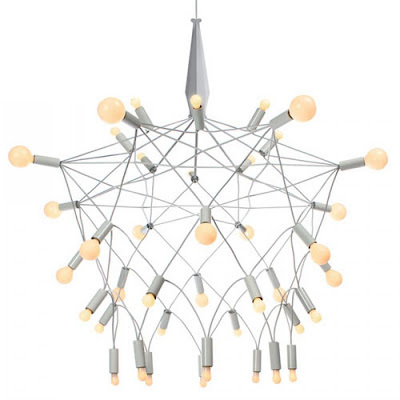 Plug in this chandelier to watch it take on a wholly new aura. It can be dimmed too, just purchase a standard dimmer switch which can take 336 watts. The 40 white bulbs glow with a whimsical and refreshing energy. Illuminating a room has never been so interesting. 336 total watts.